The Collection of various recipes of unique secrets from the most important pharmacies of our Society in Portugal, India, Macao, and Brazil, 1766, also known as Opp. NN. 17 is a Jesuit manuscript of medical recipes today housed in the Archivum Romanus Societatis Iesu (ARSI), the central Jesuit archive in Rome. 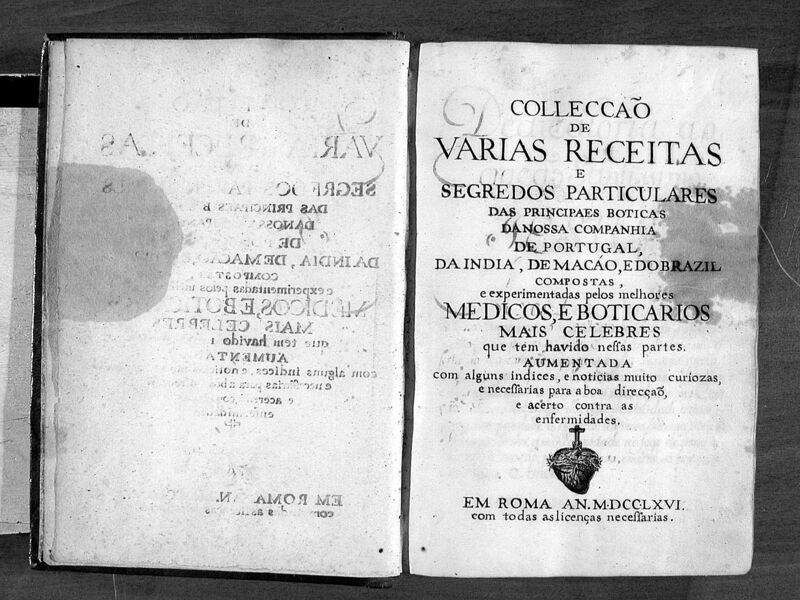 Of interest to scholars of the Society of Jesus and to historians of colonial medicine alike, the 603-page compilation of recipes offers scholars a glimpse into the process of gathering medicinal knowledge from local healers in missionary settings, and then disseminating it via a systematized volume of indexed recipes for the Jesuit’s Portuguese-speaking unit. Among the highlights of the collection are its various recipes for compounding theriacs, medicaments against snake-bites and other poisons. 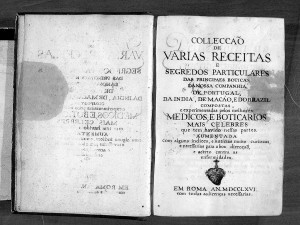 Though dated to 1766, the volume probably collates recipes collected over the previous two centuries within the “Portuguese Assistancy,” ­­ the oldest of the four territorial and linguistic administrative units of the Jesuit Order, and its most powerful in the early modern period due to strong patronage by the Portuguese Crown. In principle, the Society of Jesus was organized as a centralized command structure in which all data flowed to and from Rome. In practice, however, information and objects from the Portuguese missions in Brazil, India, Macao (including letters detailing local life, medicinal recipes, natural historical knowledge, maps, and indigenous art) circulated semi-autonomously units, often bypassing the hub of Rome. These internal, Portuguese-language based networks thus offer scholars fascinating insight into how locally-specific medical knowledge moved into wider, global circuits of the early modern world, and how the Jesuit Order’s Portuguese Assistancy acted as a surrogate to the Portuguese Empire. I am at work on a translation and critical edition of Opp. NN. 17, which will be published with an Introduction, and three accompanying contextual essays by historians of medicine of early modern India, Brazil, and Macao. The aim is to make available to historians of the early modern period not just the particular recipes, but also an exemplary case study of how botanical ingredients entered the market, and how technical and experimental knowledge shaped medical practice within the ambit of the Portuguese Assistancy. Of particular interest to me personally is the discussion within the manuscript about profit-making, which reminds us that materia medica and pharmacies were very much seen as money-making concerns for the Jesuit order. These issues show up in suggestions about omitting particularly effective but very costly ingredients from recipes and the necessity for protecting pharmaceutical secrets so as to maximize the revenue stream. The more things change, the more they stay the same! In these blog postings I hope to provide some musings on both the process of creating a translation and critical edition, and on the Jesuit process of “building” a Portuguese-language recipe book of secrets. Ines G. Zupanov, Missionary Tropics: The Catholic Frontier in India, 16th-17th Centuries, History, Languages, and Cultures of the Spanish and Portuguese Worlds (Ann Arbor: University of Michigan Press, 2005), 4.